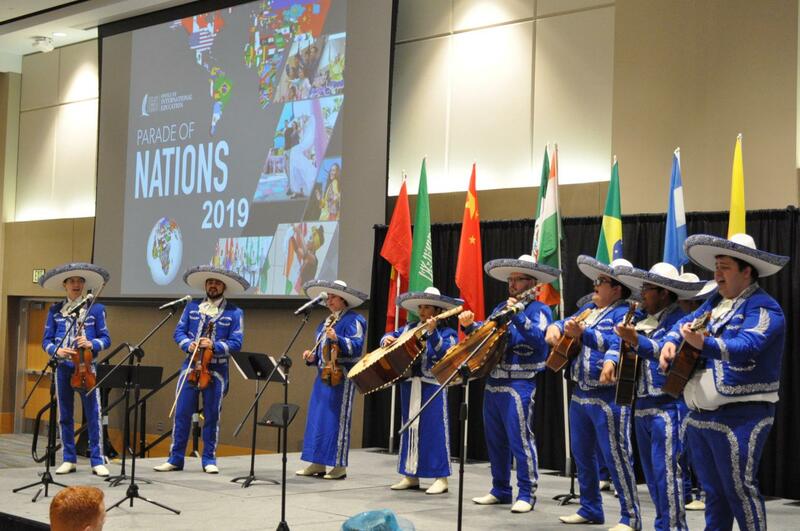 This year’s Parade of Nations went off without a hitch on March 21 In the University Center as students from around the globe were able to share their cultures during the annual event. 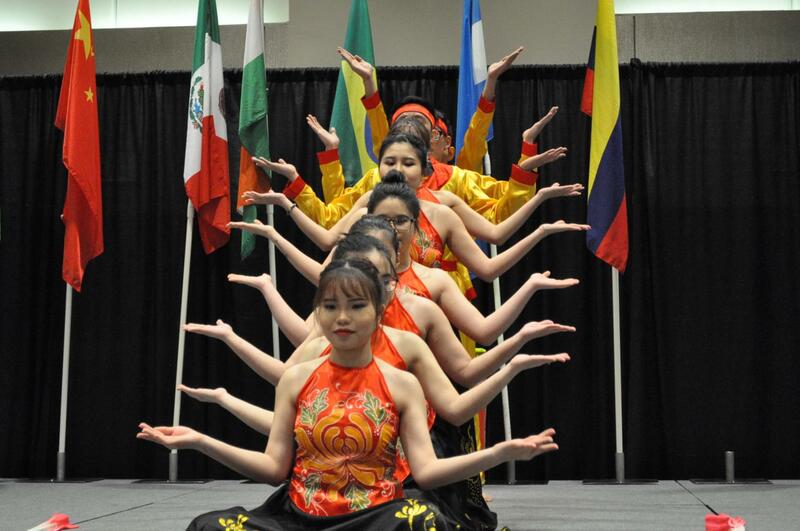 Students representing Mexico, India, China, Vietnam, Brazil, Azerbaijan, Nigeria and Colombia put on performances during the event. 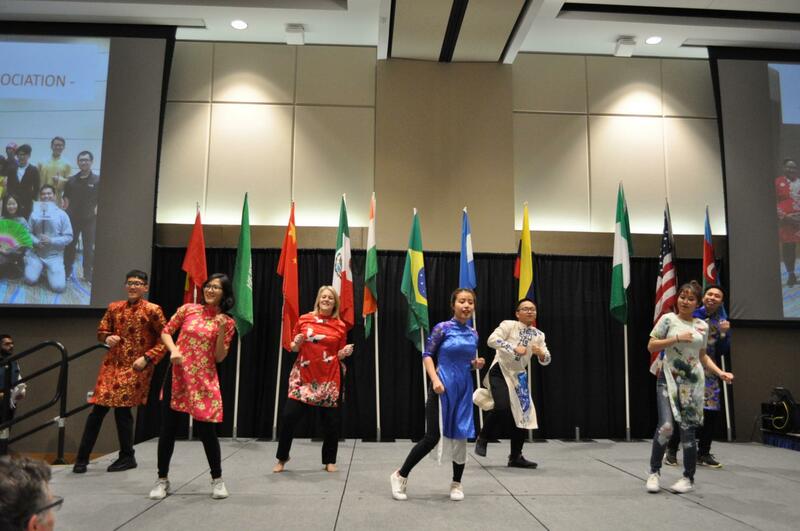 Attendees were able to enjoy chicken chow mein from China, jollof rice from Nigeria, vegetable manchurian from India and cassava balls from Colombia as the students performed. Performances included a Mexican mariachi band, a reading of the Chinese classic, “The Ballad of Mulan,” an afro dance from the Nigeria, a lion dance by Chinese and Vietnamese students, and “Banh Troi Nuoc (Woman),” a dance performed by Vietnamese students. Members of President Kelly Quintanilla’s cabinet also performed with the students. Tom Mundell, the Vice President for Institutional Advancement, made a calligraphy illustration as “The Ballad of Mulan” was read aloud. Dr. Clarenda Philips, the Provost and Vice President of Academic Affairs, performed a dance with the Azerbaijan presenter, Alimursal Ibrahimov. Athletics Director Jon Palumbo joined in on the lion dance. Cheryl Cain, the Vice President of Marketing and Communications, took part in the Colombian dance performance, and President Quintanilla herself performed in a dance number with the Vietnamese Student Association, wearing a traditional Vietnamese outfit. Ibrahimov is just one of many international students who brought experiences that many Americans have never been a part of. The Parade of Nations was immensely successful in bringing some of that culture to our campus.